You’ll have to be really, really patient to enjoy your retro twin-cylinder bike! Waiting period for the RE twins is the same across the country, irrespective of the colour variants. Though the Interceptor 650’s demand is more, It has the same waiting period as the less popular Continental GT 650 is the same as the Interceptor. Royal Enfield is currently increasing the production capacity for the 650 twins. 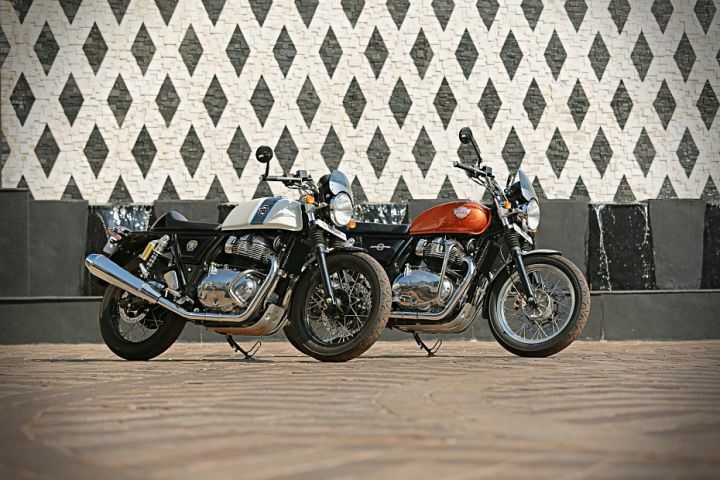 The Royal Enfield Interceptor 650 and Continental GT 650 are selling like hotcakes across the country! Demand is so high that even five months after launch, these bikes command a waiting period of four to six months across India, irrespective of the model or colour variant. Interestingly, the demand for the Interceptor 650 is much greater than the Continental GT 650 given the lower price and easier-to-live-with laid-back ergonomics. But even though the Continental GT 650 is less preferred bike of the two, it commands a similar waiting period to the Interceptor 650. It could be possible that Royal Enfield is diverting its stock to the export market as the cafe racer segment is quite niche in India. The long waiting period, might put off those who are impatient. However, considering the kind of numbers Royal Enfield did in the month of February (1445 units of the 650 twins), the brand has managed to outsell every other middleweight bike by a huge margin. The 650 twins’ stonking Rs 2.5 lakh pricing (ex-showroom, pan-India) has really helped in offering the once-elusive big-bike experience to the masses. Notwithstanding the demand-supply woes, the 650 twins have really managed to make a very strong impression in the middleweight market. Competitors belonging to the same price bracket like the KTM 390 Duke, Kawasaki Ninja 300 and the TVS Apache RR 310 have collectively tallied less than half of the 650 twins’ numbers in the month of February! At present, the brand has a 2500-unit production capacity of the 650 twins. Royal Enfield officials have confirmed to us that they are doubling-up the production, which could ease off the waiting periods considerably. I've been waiting since 1969, of course back then it was a 750cc. I've been waiting since 1969, of course back then it was a 750cc. Please look at the bike on the road and in traffic, and make a decision to buy. Ideal for road trips needs more space to overtake, like a sidecar to accommodate a silencer. Please look at the bike on the road and in traffic, and make a decision to buy. Ideal for road trips needs more space to overtake, like a sidecar to accommodate a silencer.